Use the filters to find the perfect happy hour spot near you. Where’s your favorite spot for Happy Hour? Ruth’s Chris is a traditional steakhouse with a classic atmosphere. The bar has the same impeccable service as the main restaurant, but with a more casual feel. In the bar, the Sizzle, Swizzle, Swirl Menu offers delicious drinks and entrees for only $9! Located at the Fairmont Grand Del Mar, Amaya is an upscale restaurant with great service. With stunning views of the Grand Del Mar’s architecture and golf course, Amaya serves California Cuisine with Italian influences. The menu is enhanced by Happy Hour specials every Sunday-Thursday. Happy Hour served on the Terrace or in the bar only. Westroot Tavern is a neighborhood bar with a modern twist. Westroot is spacious, with tons of TVs and live Music on Wednesday nights. Weekday Happy Hour features half off drinks and nightly specials. Monday-Friday: 3:00 p.m. – 5:00 p.m.
Casa Sol Y Mar is all about the ambiance. The restaurant and patio are spacious, colorful and inviting. The menu offers traditional and contemporary Mexican dishes. In the Cantina, Happy Hour is generous with a variety of drink and menu specials, including a bucket of 5 Mexican beers for $24.95 and a Tequila Flight for $21.95. Seasalt Del Mar is a Seafood Bistro that is focused on using responsibly sourced local seafood. Happy Hour can be enjoyed in a relaxed atmosphere with a perfect view of Los Penasquitos Lagoon. During Football Season, Sunday Happy Hour is extended from 1pm-8pm. Daily specials also available. Gluten-free items available. All cocktails made with HAN Spirits. Overlooking Los Penasquitos Lagoon, Iris Food and Spirits interprets comfort food from around the globe. Enjoy food and drink specials, in a casual atmosphere, Monday through Friday during Happy Hour. En Fuego is a Mexican Cantina just off Hwy 101 in Del Mar. Serving traditional Mexican and Seafood for over 20 years, En Fuego preserves Del Mar history while expanding to meet the needs of today. Serving New American Seafood, Pacifica has a great location with ocean views. The Vodka Bar features the best Vodkas from around the world. In the bar, not only is the Happy Hour Menu extensive, but there are additional Nightly Specials, too. Tuesday-Saturday: 4:00 p.m. – 6:30 p.m.
Del Mar Rendezvous serves a wide array of Chinese dishes which are complemented by other Asian Fusion items. The interior is newly remodeled, and Happy Buddha Hour reduces your second beer or wine to just 88¢. Vegan/Vegetarian/Gluten Free items available. Good food, an easy-going atmosphere, and live music make Zel’s is a great Del Mar find. Zel’s generously offers daily Brunch, Happy Hour and Late Night menus. Dog-friendly patio, Gluten-free options available. At Prepkitchen Del Mar you’ll find artisanal farm-to-table cuisine in a relaxed setting. With some indoor seating, the focus is on the patio which overlooks Hwy 101 towards the coast. Gluten Free (or Dishes that can be made GF) are clearly annotated. Dog-friendly patio. 3.75% Surcharge added to all checks. Bully’s is a Del Mar institution. Established in 1969, this English Pub is known for it’s Prime Rib. Red-lined booths, bar stool, and race decor set the mood. In the heart of Del Mar, Americana is a cozy cafe with a great patio. Known for breakfast, Americana is open all day and has a Happy Hour with drink specials and a great menu! Happy Hour cannot be combined with other promotions or coupons. Jimmy O’s has a comfortable Boston Pub feel. With sports on the wall of TV’s and an American bar menu, it’s a great choice for your traditional Happy Hour. Just up from the beach, Sbicca serves California Cuisine using organic, sustainable, antibiotic/hormone free ingredients (when possible). With patios, indoor seating and an upstairs view deck, Sbicca is a great choice for Happy Hour (especially if you wanna get away from the beach crowd). Shimbashi Izakaya brings sushi with a view of the ocean to Del Mar. Popular, especially out on the patio, this is one of the go-to Del Mar Happy Hour spots. Happy Hour includes drinks specials, Appetizers, and various sushi specials. Right next to Del Mar’s Main Lifeguard Tower, Poseidon has the perfect location, right on the sand. Poseidon is a local favorite for Happy Hour, expect a busy crowd and lively atmosphere.Happy Hour inside bar and lounge only. Monday-Friday: 4:00 p.m. – 6:30 p.m. Right on the beach, Jake’s Del Mar has a casual feel and serves Coastal California Cuisine. A large bar area and beautiful view make this location popular. Waikiki Wednesdays include Island favorites: Duroq BBQ Rib and Ahi plates with steamed Jasmine Rice and Macaroni Salad. Valet parking. Gluten Free options clearly marked. Tuesday-Sunday: 3:00 p.m. – 6:00 p.m.
Davanti Enoteca is a rustic Italian restaurant that walks the line between casual and elegant. Davanti is a great place for date night or a casual weekend hangout. The Happy Hour menu offers several small bite selections including Pizza, Crispy Pork Ribs and Fritto Misto (shrimp calamari, oysters, meyer lemon). Sunday-Thursday: 3:00 p.m. – 6:00 p.m.
Friday & Saturday: 3:00 p.m. – 5:00 p.m.
Overlooking the Del Mar Racetrack, this Brigantine location is always popular. Valet parking, great patio view, and a loyal following, the Brig is a quintessential North Del Mar spot. Happy Hour is in the lounge and don’t miss the popular Taco Tuesdays. Celebrity Chef Brian Malarkey (Top Chef) set out to have a restaurant with a casual dining experience, New American food, and a great social environment. He succeeded. A popular inland Del Mar spot, Searsucker is designed to be the place where you want to hang out with friends, listen to live music and stay. Everyday: 4:30 p.m. – 6:30 p.m.
Cucina Enoteca is a popular Del Mar spot, with a modern space and lots of seating. Serving Italian favorites with a modern twist, Cucina Enoteca is dedicated to using locally sourced, organic produce and sustainable ingredients. The Happy Hour menu is small, but there are daily deals such as $10 any pizza on Thursdays. Happy Hour served in Bar & Community area only. At the Hilton San Diego/Del Mar, the Coastal Kitchen uses a combination of indoor and outdoor dining to set the stage for its seasonal farm-to-table menu. The relaxed setting features a cozy fireplace and two outdoor firepits to create a warm and inviting atmosphere. If High-End dining is what you like (but not what you can afford), Pamplemousse Happy Hour is the place for you. With a French Country, casual atmosphere, you can have your own fine-dining experience for half the price in the lounge.A 3.5% surcharge is added to all checks. Monday-Friday: 4:30 p.m. – 6:30 p.m.
Near the beach, ample parking, friendly staff and good food, what else could you want? Solana Beach Crush believes that Happy Hour should include delicious cocktails and excellent food, add a great atmosphere and it’s a wonderful choice. Late Night specials include $10 Pizza and $5 draft beer. Claire’s, a friendly cafe in the heart of Solana Beach, specializes in California comfort food and offers a variety of freshly baked bread, pastries, and desserts. On Fridays and Saturdays, Claire’s offers unique Happy Hour Specials for food and drinks. Dog-friendly. Gluten Free Friendly. In a prime location on the 101, just up from Fletcher’s Cove, Station Sushi has a consistent crowd. Happy Hour features several rolls, appetizers and beer and Sake. The Fish Market is a classic seafood restaurant in Solana Beach. Situated between the beach, I-5 and Del Mar Racetrack, this place is ever popular. A real fish market with a restaurant attached you can expect a good menu and casual atmosphere. Happy Hour in Lounge only. Monday: 3:30 p.m. – 9:30 p.m.
Tuesday-Friday: 3:30 p.m. – 6:30 p.m. In the 60’s, Fidel Montanez decided to sell Tacos at his existing business, eventually, the tacos took over, and he transformed his 2-story house in Solana Beach into a Mexican Hacienda. Today you can visit this catacomb of landscaped patios and rooms and eat some of the most popular Mexican Food in North County. Monday-Thursday: 4:30 p.m. – 7:00 p.m.
Booze & Rock n’ Roll – that sums up this bar pretty well. Located just East of Fletcher’s Cove, Saddle Bar is a great place for music, Happy Hour, and Goldfish Races! Monday-Friday: 3:00 p.m. – 7:00 p.m. Right next to Fletcher’s Cove, Pillbox is a retro-modern beach bar that serves Coastal American Cuisine. Welcoming to locals and visitors, Pillbox Tavern is a refreshing place to unwind after a day on the beach. Monday-Friday: 3:00 p.m. – 6:00 p.m.
East of Interstate 5, Pizza Nova in Solana Beach avoids the beach crowds and is a neighborhood favorite. 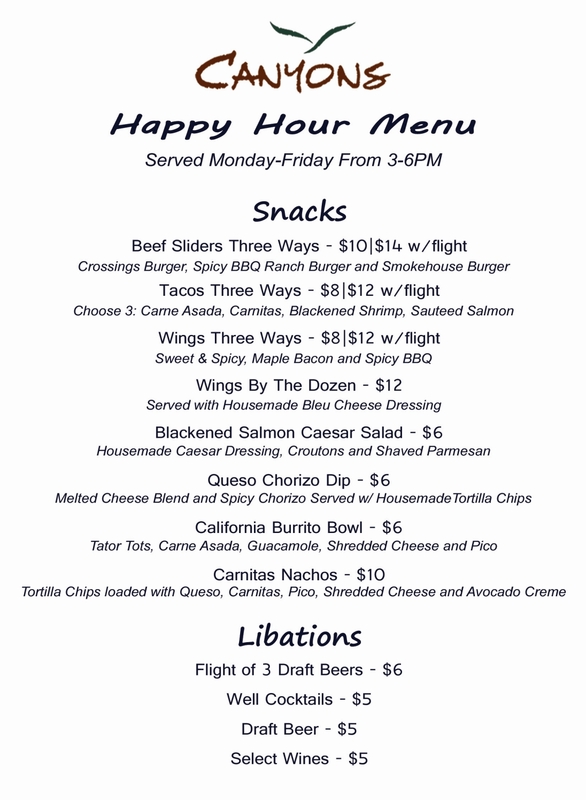 Happy Hour is offered daily and features menu selections as well as drink specials. On lovely days the Chart House will open all the windows and let the ocean breeze flow through the space. The bar could be all about the view, but also offers a superb Happy Hour with many options. Happy Hour available only in bar and lounge. Valet service. Monday-Friday: 3:00 p.m. – 6:30 p.m. Right across from the beach, Ki’s has a great view and an extensive menu. A local favorite, Ki’s offers a great Happy Hour with drink and food specials. Dedicated Gluten Free Menu. A laid-back atmosphere right across the street from the beach. A local hangout with live music most nights. Late night Happy Hour Friday and Saturday! This hidden gem serves Peruvian food in lush surroundings. At the bar, Happy Hour is limited but delicious. A quaint little-hidden spot in Cardiff, Wine Steals is a local fave. Happy Hour $2 off ANY wine by the glass. In addition, Wine Steals also has daily specials and $5 casual WIne Tastings on Wednesday nights. Saturday evening features $10 Tastings from 4pm-6pm, taste 10 wines from around the globe. Cicciotti’s is an authentic Italian restaurant with ocean views and a casual atmosphere. The interior is warm and inviting and the patio is pet-friendly with a firepit. Dog-friendly patio. Mexican Food across from the beach! Las Olas is a local favorite and supports local, sustainable and organic practices whenever possible. Happy Hour specials include discounts on menu favorites and drinks. Monday-Friday: 4:00 p.m. – 6:00 p.m.
Besta-Wan is an eclectic place in decor and menu. Serving more than pizza, you’ll find sandwiches, Mexican and American fare. A neighborhood staple, Besta-Wan is just up from the Cardiff Kook. Just off Hwy 101 in Encinitas, The Third Corner is a quaint little bistro with the wine shop integrated into the ambiance. The Happy Hour Menu here is extensive, and it’s offered late night as well! Expect great food, service, and plenty of parking. Tuesday- Saturday: 3:00 p.m. – 6:00 p.m.
D Street is the quintessential neighborhood bar. The place you go to watch the game, have a beer and snack on something. Just up from Moonlight beach, it’s a popular spot year round. Happy Hour and Daily Specials offered. Monday-Friday: 4:00 p.m. – 7:00 p.m.
Weekly Specials: Monday-Thursday: 11:00 a.m. – 10:00 p.m. This local favorite is cozy and casual. A TV for the game, bar seating, some tables, and a small patio, this place is friendly and intimate. Happy Hour at this bar, plus Weekday Specials. Wednesday-Friday: 3:00 p.m. – 6:00 p.m.
GoodOnYa serves organic, local, non-GMO food, with Gluten Free, Vegan, Dairy Free, and Paleo options. Daily Happy Hour mixes cocktails that are uniquely blended from wine-based aperitifs and Prosecco. The resulting drinks are low proof, low sugar, organic, Non-GMO, and herbal. They also feature a selection of Gluten reduced beer on tap, Ciders, and Organic WIne. Organic. Gluten Free. Paleo. Vegan. From Top Chef Winner, Richard Blais, The Crack Shack has come to North County! Elevating Fried Chicken, the Crack Shack has become a local favorite. Large open space with a patio, it is Family friendly and Pet-friendly. A neighborhood favorite, Sushi Lounge is a casual sushi bar just West of Hwy 5. Their Happy Hour not only features drink specials but small plate and sushi rolls. Dine-In Only. Beachside is a family-run neighborhood bar that has a prime location on the 101 in Encinitas. The American Menu is straightforward and expect to find sports on the TVs or hear live music. The large back patio has a firepit, ping-pong, corn hole and giant Jenga. Located in the Encinitas Lumberyard, Blue Ribbon Pizza has been a local favorite for years. Happy Hour features small plates, pizza and dessert (Monday-Friday), or try a pizza and wine, late nights (Monday-Saturday). Dine-In Only. This vibrant space, in the shape of a T-Bone, has been around since the 40’s. Originally a Steakhouse, the owners have kept the original integrity of this historic building, while updating the menu and vibe for now. Inspired by beer, the Bier Garden not only has 32 tap handles from SoCal, but also infuses beer into their dishes. Specializing in traditional Italian food, Vigilucci’s is a Coastal fave. They have a wood-burning brick oven for pizzas, and a pianist every night at 6 pm. In the bar only, Happy Hour offers a free appetizer plate such as Bruschetta. The menu offers a little of everything including pizza, pasta, and seafood. They also have Valet service to help with parking on the 101. Monday-Thursday: 3:00 p.m. – 7:00 p.m.
Friday–Sunday: 12:00 p.m. – 6:00 p.m. The Roxy Encinitas is a coast highway staple. Remodeled with a new menu, the Roxy features live music almost daily. Happy Hour is all day and all night on Mondays. The original location for this Peruvian Restaurant continues to be a favorite. With artisan decor, Peruvian music and traditional dishes, the restaurant transports you. Happy hour is limited, but the revolving menu makes it a treat. Part of the new Open House project in Encinitas, The Asian Kitchen has Happy Hour Specials Monday-Friday on drinks, bar snacks and Ramen. Just a bit inland, Bentley’s Steak House is a cozy Steakhouse located in East Encinitas. Eat: Chilled Ahi Stacks, Prime Rib Dippers, Crab Stuffed Mushrooms. Tuesday – Friday: 2:00 p.m. – 6:30 p.m.
Saturday & Monday: 5:00 p.m. – 6:30 p.m.
Great atmosphere and plenty of parking off Highway 101 in Encinitas. Hapifish offers a great twist on traditional Japanese food. Friendly service, great crowd, upbeat atmosphere. Highway 101 dining at its best. Papagayo offers a unique fusion of Mediterranean and Latin food that truly works. The walls are lined with local art for sale and live music is featured daily. Limited parking. Happy Tuesdays All Night Long! The Lumberyard has a big open space with lots of TVs and plenty of beer on tap. A local favorite, the Lumberyard has an affordable menu and a casual atmosphere. Pet-Friendly. In Encinitas, between the Ocean and the train station, Solace provides a modern space and great food. Intent on simplifying food, Solace has sourced natural ingredients, from meats to drink garnishes. Available in the Moonlight Lounge, Happy Hour features Oysters seven days a week. Tuesday and Sunday specials offered as well. Just North of Swami’s Beach, Union Kitchen offers upscale choices with a laid-back vibe. A big open space, cozy decor, and friendly staff make this a place you want to frequent. Not only does Union have a Social Hour, they also feature a Late Night Menu, Daily Specials and a Late Afternoon Menu on the Weekends. Not only can you enjoy traditional Happy Hour, Mr. Peabody’s offers Breakfast Happy Hour! Breakfast Tacos, Mimosa specials, and a Build-Your-Own Bloody Mary Bar start as early as 7 am! Sundays feature NFL games and there is live music almost daily. Think of your local watering-hole, add fine dining, with an emphasis on ingredients, and you’ll get Priority Public House. A great vibe, open windows that overlook Hwy 101, friendly staff, and live music. A chill, cozy place for Happy Hour. Tuesday and Wednesday Special offered as well. Solterra is a working winery just off the coast in Leucadia. Utilizing grapes from Southern California and Valle de Guadalupe, Mexico, Solterra ages their wine in French Oak barrels on-site. Enjoy a Lunch/Happy Hour every day. The Regal Seagull Sausage and Ale House is located near the beach off Hwy 101. A Leucadian favorite, Regal Seagull has a friendly staff and chill crowd. Located in Inland Encinitas, the Craftsman serves New American comfort food in a rustic setting. Enjoy Happy Hour 5 days a week. Fish 101’s dedication to using seasonal, locally sourced, and sustainable ingredients really shines through its menu. Everything tastes super fresh and made with love. Just off Hwy 101, you’ll find a beachy atmosphere with counter service and two outside patios. Tuesday-Friday: 4:00 p.m. – 9:00 p.m. Spacious Mexican restaurant located in The Forum shopping plaza. Casa de Bandini is festive and very popular, with tortilla makers and mariachi bands, there is usually a wait for the restaurant. Happy Hour in the bar is a great alternative. Farm to Table at its best. Bistro West is a local fave and the Happy Hour offers a delicious array of cocktails and great menu selections. Eat: Ahi Tartare or the Lollipop Lamb Chops. Everyday 4:00 p.m. – 6:00 p.m. When you’re in the mood for fine dining but your stomach (and wallet) don’t need the portions (or prices), Happy Hour is the way to go, it’s a wonderful way to experience great restaurants and wonderful food. West Steak and Seafood is Bistro West’s fancy cousin. The same excellent atmosphere but in a more formal setting. Happy hour is available daily, but the bar also offers Martini Monday all night ($7 Skyy Vodka or Beefeater Gin). With a great view of inland Carlsbad, Ignite is always buzzing with people. The whole place has a great ambiance and friendly feel. Enjoy Happy Hour in the bar, around the walkway fireplace or on the outside patio. Daily 3:00 p.m. – 6:30 p.m. This unique restaurant doubles as an American history museum. The Tavern is an homage to the original Green Dragon in Boston. With patrons such as Samuel Adams and Paul Revere, the original Tavern is considered the birthplace of the American Revolution. Monday-Saturday: 3:00 p.m. – 6:00 p.m. The Compass is a cozy Gastropub tucked into Carlsbad Village Faire. The happy hour here is a popular local destination, and in the tourist months, it’s even more lively! A bar, hightops, community table, red banquettes and a dog-friendly outdoor patio leave lots of gathering options. They also offer a late night menu. Daily 4:00 p.m. – 6:00 p.m.
Late Night: 10:30 p.m. – 1:30 a.m. The Argyle is an elegant and upscale restaurant overlooking the beautiful Park Hyatt Aviara golf course. Enjoy Happy Hour Specials daily. Located at the Cape Rey Hilton Resort, Chandler’s has a friendly atmosphere that welcomes tourists and locals alike. Overlooking Hwy 101 to the coast, Chandler’s has a covered and open patio. Beautiful ocean view in Carlsbad. Traditional Italian with great service and ambiance. In the bar only, the Happy Hour offers a complimentary appetizer, such as Bruschetta. A local favorite, Valet is provided for easy parking. Monday–Friday: 3:00 p.m. – 6:00 p.m. The Coyote Bar is a local favorite in Carlsbad Village Faire. Catering to a more mature crowd, Coyote has a great patio with fire pits and karaoke or live music. Very popular on weekends, expect a lively crowd for their Happy Hour and Late Night specials. Sunday–Thursday: 10:00 p.m. – 11:00 p.m.
Hennessey’s is an Irish Pub in the heart of Carlsbad Village. Front and back patios, a friendly staff and lots of locals make this place a great place to spend the afternoon. Hennessey’s has a happy hour menu plus daily specials, including Two Timin’ Tuesdays, featuring Two-for-One Burgers and Breakfast Entrees. Monday–Thursday: 4:00 p.m. – 7:00 p.m. Located at the Crossings of Carlsbad Golf Course, The Canyons has a large dining room and big patio overlooking southern Carlsbad and the ocean. Happy Hour is offered weekly nights and all day on Saturday and Sundays. Part of the Sheraton Carlsbad resort, Twenty/20 offers great sunset views and a lovely patio with a cozy fireplace. A hidden Carlsbad gem, a casual friendly atmosphere makes Twenty/20 a go-to spot. Daily 3:00 p.m. – 6:00 p.m.
Homey Irish Pub in Carlsbad, O’Sullivan’s has an Irish inspired menu and features traditional Irish music. The brick and wood interior adds to the Pub atmosphere, outside find dog-friendly patios with fire pits. At Campfire, enjoy fresh market-driven ingredients, cooked over an open fire and served in a modern, and unique atmosphere. The Happy Hour features specialty cocktails that change frequently. 83 Degrees Gastropub is in Carlsbad Village and has 45 beers on tap, including many locally brewed favorites. *3 Degrees has an open dining room, a pet-friendly patio and TV’s with the NFL package. Carlsbad Happy Hour with an ocean view and no attitude. Dini’s is a casual restaurant that serves a Coastal American menu without any fuss. Another great restaurant in Carlsbad Village, Land & Water has a beautifully crafted menu made with high-quality sustainable ingredients. Happy hour highlights their Craft Cocktails with all juices and mixes made in-house daily, as well as their fabulous selection of small plates, sushi rolls, and sashimi. A fantastic Italian-American neighborhood restaurant in Bressi Ranch. Excellent food and great drink specials, Happy Hour is offered at the bar (along with high top area) and on the patio. They also offer a late night reverse social hour on Saturday nights. Monday-Saturday: 3:00 p.m. – 7:00 p.m.
A classic steakhouse, Hunter specializes in Prime Rib. In the bar, Happy Hour is offered daily. Privateer is local, family-owned pizza place that uses a 100% Coal Fire Oven. Offering a “Blue Collar Gourmet” menu, Privateer is a great place to stop in for Happy Hour. The Hello Betty Fish House is just up from the beach, in Oceanside. The menu is a twist on SoCal cuisine with fish tacos, margaritas and much more. In the main dining area, Happy Hour is offered Monday-Friday. A modern sushi bar in Oceanside. Just east of the ocean this is a popular hangout for tourists and locals alike. All day Happy Hour on Mondays and a Late Night Social Hour seven days a week. Tuesday-Friday: 5:30 p.m. – 6:30 p.m.
Good food, a casual atmosphere, and friendly service make this a go-to Oceanside spot. The interior is open, and massive with an industrial flair. Happy Hour available all day Monday, with a Late Night menu as well. Tuesday-Friday: 3:00 p.m. – 6:00 p.m.
608 provides a fine dining experience at affordable prices. Chef William Eick uses local seasonal produce to create a West Coast fusion menu that any foodie would appreciate. Enjoy Happy Hour drinks from 4-6 Daily. Mission Avenue Bar & Grill has become an Oceanside staple. The drafts are all California brewed, they feature over 180 Whiskeys, and the menu is New American. Happy Hour Daily and Daily Specials. Just up from the Strand, Johnny Mananas is a simple Mexican spot, with counter service and a quaint patio. The menu, ranging from breakfast to burgers, is all under $10! Happy Hour is all day with beer specials and $5 Bloody Marys, Micheladas and Margaritas. Taps upon taps, Barrel Republic is a craft beer haven! See the hostess for a wristband and pour to your hearts’ delight! Mostly beer, but some wine taps offered as well. Happy Hour gives you 20% off all taps. A member of the Cohn Restaurant Group, 333 Pacific has spectacular ocean views and an upscale menu. Happy Hour is located in the Vodka Lounge where Vodka is $8 all day, every day! 2% surcharge added to all guest checks. Overlooking the Harbor, Oceanside Broiler offers a steak and seafood menu with a fantastic view. Served in the Bar or on the Lanai, Happy Hour is offered daily along with daily specials. If you like sports, The Draft is the place to be. A true sports bar, The Draft’s main area is surrounded by 43 flatscreen TVs. Happy Hour is every day except for Wednesday when wings are on sale for 60¢. Regarded as the ultimate in French American cuisine, this farm-to-table restaurant is the go-to place in Rancho Sante Fe. People more than rave about this place, and the Brasserie Menu is either your introduction or your guilty pleasure. Brasserie Menu: 5:00 p.m. – 10:00 p.m.
A member of the Cohn Restaurant Group, Vintana is home to award-winning chef Deborah Scott. The space is contemporary, sophisticated and has a unique location on top of a Lexus dealership. Vintana offers Happy Hour in the Martini Lounge and outside on the Lanai. Friendly service, great food, and live music Wednesday through Saturday. Valet offered. A 2% surcharge is added to all guest checks. The Brigantine Escondido has a light and contemporary design. Choose to eat inside or outside on the patio (which makes you forget that you’re in a parking lot!) A popular neighborhood place, there is a great big bar space and a lovely patio that makes you forget that a parking lot is anywhere nearby. Tuesday-Sunday: 3:30 p.m. – 6:00 p.m. The name says it all, it’s a large spacious tavern with a neon bowling alley attached. And it’s in a mall. Tavern + Bowl is actually a fun concept. There is a huge bar with TVs playing different sports all around it, and not only is there bowling, there is shuffleboard. A great late night spot, Tavern + Bowl is open til Midnight. Daily 3:00 p.m. – 7:00 p.m.
Bellamy’s is an unexpected treat in the heart of Escondido. The lush decor, french-influenced cuisine, and inviting staff, make this restaurant a real jewel. With Happy Hour all week and Daily Specials you could easily spoil yourself. Bellamy’s even has live music nightly. You don’t need the ocean to have a water view. Decoy, located on Lake San Marcos, has an amazing lake view. Located outside, the Dock Bar is right on the water. The Dock Bar offers an American casual menu with salads, pizzas, and sandwiches. In the Decoy Dockside Lounge, you’ll find a long bar, cozy atmosphere, and sophisticated dishes. Nestled in San Elijo Hills, this quaint neighborhood wine bar, is friendly and cozy. A bar and handful of tables are all this place needs to provide excellent beer and wine selections and a tasty menu. Near the California State San Marcos Campus, you’ll find The Bellows. With rustic charm and a wonderful Farm to Table Menu, Bellows is a wonderful addition to the city of San Marcos. Expect a friendly, casual atmosphere, and sophisticated plates. Tuesday-Wednesday: 4:00 p.m. – 6:00 p.m.
Thursday-Friday: 3:00 p.m. – 6:00 p.m.
A small little English Pub on San Marcos Boulevard. Straightforward with darts, beer and a small menu. A local fave, expect it to get busy, especially on Wings Wednesday. Happy Hour offered all day Sunday, with specials Tuesday and Wednesday nights. Monday-Friday: 4:00 p.m – 7:00 p.m.
Family-friendly pizza place just east of Hwy 78. With a modern, yet inviting charm, and a large indoor and outdoor space, Pizza Nova is a great stop for Happy Hour as early dinner. In a nutshell: Burgers, Beer and All Day Extended Happy Hour. Slater’s is known for its 50% Bacon/50% Beef Burgers. With Gluten Free, Vegan and Kids options, this restaurant satisfies many. All day Happy Hour in the bar only. Monday-Friday: 11:00 a.m. – 6:00 p.m.
Open and airy with a long bar and lovely outside patio, Flying Pig is one of the many new Craft Brew places that have popped up in Vista. The Farm-to-Table menu adds to its appeal, making it a foodie destination as well. Monday-Friday: 4:30 p.m. – 6:00 p.m.
Sunday: 2:00 p.m. – 4:30 p.m.
Sushi Happy Hour in Poway! Sushi Lounge is very popular, so get there early. Happy Hour not only features drink specials but small plate and sushi rolls as well. Dine-In Only. Dark wood and stonework give the Brigantine in Poway a modern lodge feel. Serving American Coastal Seafood, the Brig has Happy Hour in the Oyster Bar daily, and all night on Monday. Players Sports Grill is a straightforward Sports bar, lots of TVs, pool tables and great drink specials. The menu serves American classics, which are perfect when you’re watching a game. Dolce has the kind of atmosphere that’s casual and inviting, but equally suitable for fancy occasions. With a great wine list, ample menu and plenty of parking Dolce is a wonderful and lively option for Happy Hour! Wokou has upped the fast-casual game with it’s Ramen & Yakitori addition to Carmel Valley. Happy Hour features a generous selection of drinks and menu items. Gluten Free, Vegetarian and Vegan options available. Crudo by Chef Pascal Lorange has a unique menu with Mediterranean and Japanese influences. The interior is modern, open and bright, there are patio options as well. Happy Hour is served daily with drink and appetizer specials. Nestled in Rancho Santa Fe, Dolce serves seasonal Farm-to-Table Italian inspired dishes. The space is contemporary with an artisanal wine shop flare. Merriment Hour features drink specials and a limited menu. Cesar Rancho Santa Fe brings traditional and modern Spanish Tapas to SoCal. Combining authentic Spanish ingredients and locally sourced ingredients, Cesar has become a neighborhood staple. Mediterranean/Italian at heart, Nick and G’s is modern and casual. The menu uses locally sourced, sustainable ingredients to create their signature dishes. Nick & G’s has a daily Happy Hour as well as Daily Specials. Waypoint Public is not only family-friendly but provides indoor and outdoor kid areas, so that the experience is fun for all. After kids, Happy Hour is no longer the beginning of the evening, but more like the highlight. Waypoint is a great place to grab a Happy Hour drink and eat a quick and easy dinner before starting the bedtime routine. Capri Blu Italian bistro has a lush contemporary atmosphere, friendly service, and an enclosed patio. With locations sprinkled throughout San Diego County, Miguel’s has a loyal neighborhood following. Serving Mexican favorites, Happy Hour is offered daily, as well as, all day Monday and late night Friday and Saturday. The Bar & Lounge at Carver’s Steaks & Chops is just what you expect from a steakhouse. Dark wood walls create a cozy, relaxing environment to enjoy cocktails and sports in. Happy Hour is served all day during the week, weekends offer live music. Elegantly casual, The Barrel Room is a retailer, wine room, and full-service restaurant. The wine-lined walls set the stage for the menu of European and American Bistro favorites. Aptly named, Veranda Fireside gains its popularity for its lovely outdoor seating area with gorgeous views of the Rancho Bernardo Golf Course. Live music is featured often. Vegan and Gluten Free selections clearly marked. A 4% surcharge will be added to all guest checks. Located at Rancho Bernardo Inn, Avant brings wine country dining to North County. Happy Hour gives a glimpse of the acclaimed menu which is a local favorite. A 4% surcharge will be added to all guest checks. Homey Irish Pub in Oceanside, O’Sullivan’s has an Irish inspired menu, dog-friendly patios, and a loyal local following. Weekly Happy Hour has specials on a limited menu. Dog-friendly patio. Vinz Wine Bar doesn’t take itself too seriously. With a laid-back and friendly environment, it’s a wine bar that hosts Trivia Nights and will have the game on. Vinz boasts over 60 choices of wine and also has a full bar. Dog-friendly patio and specialized dog menu. The 55 Yardline is a neighborhood sports bar with a loyal local following. The bar has multiple TVs with games on, pool tables and a jukebox. Happy Hour, Late Night Happy Hour and Daily Specials make the 55 Yardline even more popular. San Marcos Brewery is a family favorite in Restaurant Row. The menu is filled with American favorites that every age can enjoy. Happy Hour is offered in the bar. The Belching Beaver is a brewery in the heart of Vista with a casual setting and a great patio. Enjoy Happy Hour at the bar or outside on the patio.